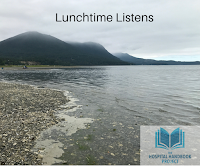 Today's Lunchtime Listen recommendation, "Opioid Overdose Epidemic: A Call to Action" is an audiovisual presentation, supported by the federal Joint Pain Education Project (JPEP), has several statistics about the opioid prescription increase, what the opioid epidemic is, side effects of opioids (pain sensitization, poor sleep) etc. It mentions the 2016 U.S. Surgeon General's Call to Action about the Opioid Epidemic. length of video: about 26 minutes. While the video is a module intended for prescribing practitioners, it has good information for non-prescribing practitioners to understand when talking with your prescribing colleagues about what you offer as non-pharm pain management therapy options for patients. "1/4 of patients on long-term use opioids for chronic pain struggle with opioid use disorder"
"In 2014, accidental deaths from opioids exceeded accidental deaths from motor vehicle accidents"
"#1. 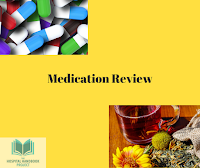 DO NOT PRESCRIBE OPIOIDS as a FIRST LINE TREATMENT"
Instead, it is recommended primary care providers consider which non-opioid and non-pharm therapies are appropriate. If you have found this blog and its posts useful, contribute $5 or $25 today to support this resource (blog and website). Thank you. If you or your business/program want to sponsor or co-sponsor a specific project, like the Webinar Series, contact me. Here in the Pacific Northwest, we have several "runs" of salmon. Last week I chaperoned a school field trip for my daughter's class where we travelled to Twanoh State Park, where the Olympic mountains meet the southern portion of the Hood Canal. See quick video of it here. Time for the monthly progress update. I continue to learn more about the Teachable platform for hosting online courses as we finish up the beta-testing phase of the Workers’ Comp Documentation Toolkit: (East Asian Medicine) Practitioner’s Perspective. 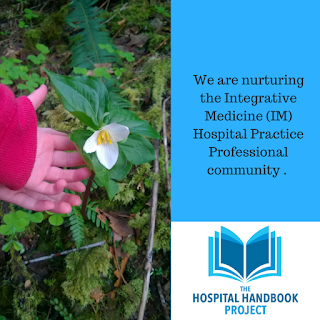 I designed this course for the WA L&I Acupuncture Pilot Participants to be successful in transitioning to this style of clinical work and the state workers’ comp system of documentation and reimbursement. 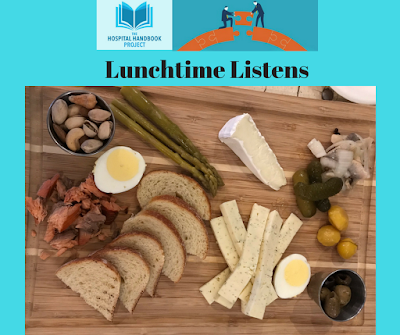 If you missed it, you can still listen (or watch, when there is video), a recommended Lunchtime Learning series from the related blogposts or from the YouTube playlist. Our Facebook Page is growing. Please “like” our page and rate it (if you like the information). 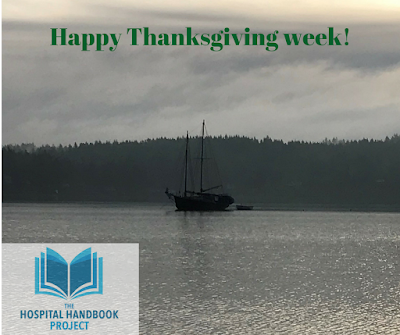 You can also send me messages/email through the Hospital Handbook Project Facebook page. Book progress--I am going through edits of the manuscript and learning more about self-publishing process every month. "The United States is facing a national opioid epidemic, and medical systems are in need of non-pharmacological strategies that can be employed to decrease the public’s opioid dependence." "Acupuncture is an effective, safe, and cost-effective treatment for numerous types of acute and chronic pain. Acupuncture should be recommended as a first line treatment for pain before opiates are prescribed, and may reduce opioid use." 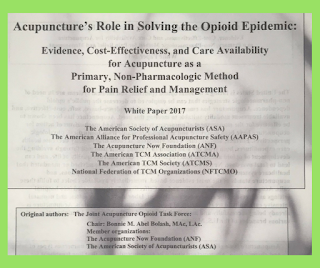 In September 2017, the white paper, Acupuncture's Role in Solving the Opioid Epidemic: Evidence, Cost-Effectiveness, and Care Availability for Acupuncture as a Primary, Non-Pharmacologic Method for Pain Relief and Management, was published by The Joint Acupuncture Opioid Task Force, chaired by Bonnie Bolash, MAc. This white paper is just 15 pages long and incredibly well-referenced (21 pages long when including references section). You can look at a copy on Evidenced-based Acupuncture's website. This work was a collaboration of the following national and international organizations: The American Society of Acupuncturists (ASA), The American Alliance for Professional Acupuncture Safety (AAPAS), The Acupuncture Now Foundation (ANF), The American TCM Association (ATCMA), The American TCM Society (ATCMS), and the National Federation of TCM Organizations (NFTCMO). All the topics in the paper are supported by research in the end notes/reference section. I highlighted some topics with a related quote below. Check out the full paper here. "mechanisms of action for acupuncture have been described and are understandable from biomedical, physiologic perspectives." 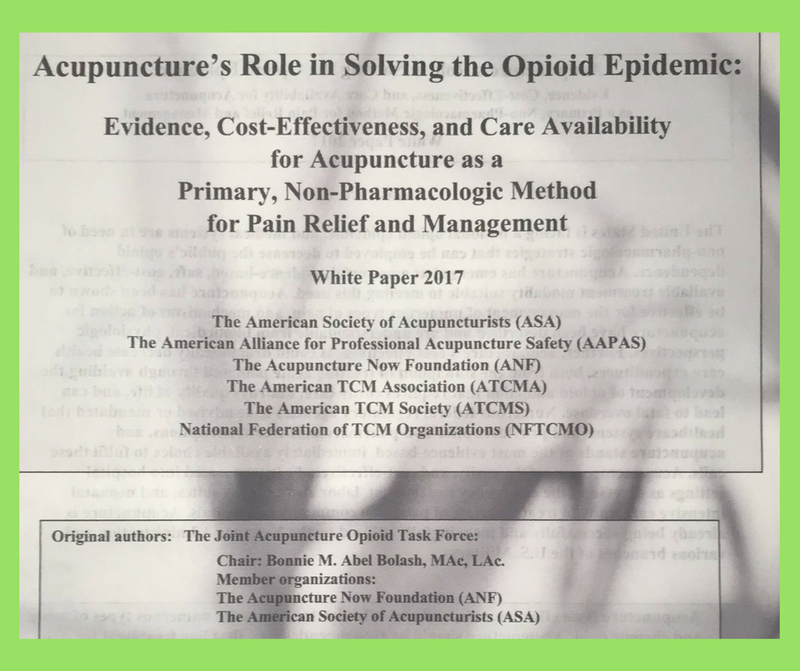 "...acupuncture’s cost-effectiveness could dramatically decrease health care expenditures, both from the standpoint of treating acute pain and through avoiding the development of opioid addiction that requires costly care, destroys quality of life, and can lead to fatal overdose." "Numerous federal regulatory agencies have advised or mandated that healthcare systems and providers offer non-pharmacological treatment options, and acupuncture stands as the most evidence-based, immediately available choice to fulfill these calls. 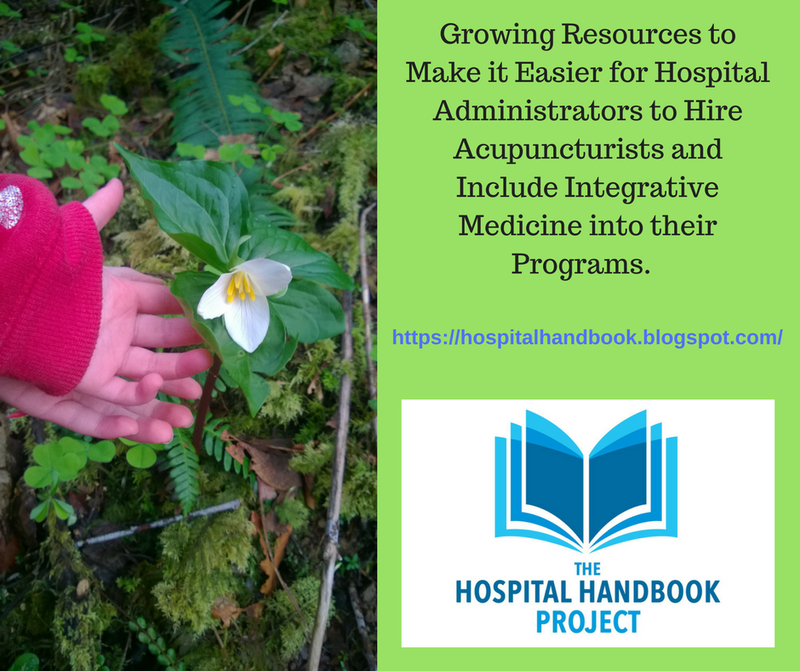 Acupuncture can safely, easily, and cost-effectively be incorporated into hospital settings as diverse as the emergency department, labor and delivery suites, and neonatal intensive care units to treat a variety of pain seen commonly in hospitals." Moving Beyond Medications: Non-Pharm Approaches to Pain Management and Well-Being, a one-page infographic for PCMs. 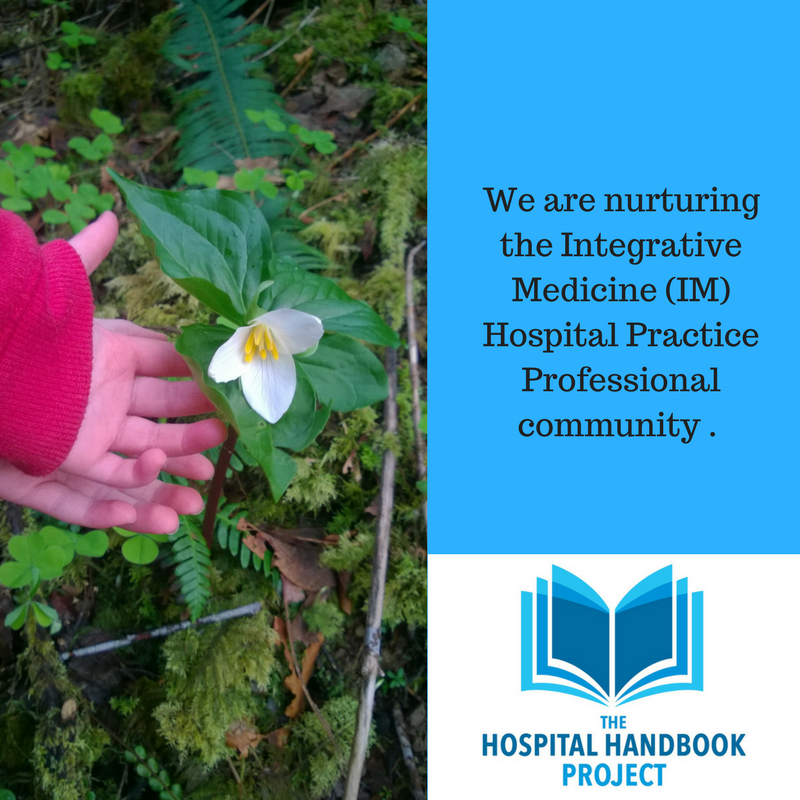 This is a collaborative work by several national integrative medicine groups.